Buying a term plan online used to be child’s play. Not any more. Given the complicated payout choices on offer, you can go horribly wrong. Some of the options are a rip-off, though they might appear very attractive. For instance, the return of premium plans, which give back the entire premium paid if the policyholder survives the term. The premium for such a plan will be much higher than what one would pay for a regular term policy. ET Wealth looks at three such term plan variants that don’t really add value to the buyer. Most insurance companies are offering a staggered payout option on their term plans. Instead of a lump sum payment on death, the nominee gets 10% of the insured amount and the balance is paid in monthly installments over 10-15 years. If the sum assured is `1 crore, the nominee will get `10 lakh on death and `50,000 per month for the next 15 years. Now consider these numbers. If the `90 lakh was put in a simple bank fixed deposit to earn 8%, the family would get a monthly income of `60,000. That’s 20% more than what the insurance company gives out every month. Besides, the principal remains intact for the family to use for any other purpose. One may argue that the payouts from insurance companies are tax free under Section 10(10d). But this will make a difference only if the nominee has a high income. In the 30% tax slab, the post-tax income from the FD would be lower at `42,000. In case the nominee is a homemaker or earns less than `2 lakh a year, the post-tax returns will still be higher than what insurance companies are offering. And the principal remains intact when invested in the bank FD. The staggered payout option is targeted primarily at families which may not be financially savvy to manage the lump sum they receive on the death of the policyholder. The premium of the staggered payout option is lower than the regular lump sum payout option, which may seem like a plus point. But the lower premium still does not justify the low returns. “Your own money is paid out to your nominee in installments. Even if the premium is lower or the total payout higher, the returns are not comparable to what the lump sum amount could earn from other investment avenues,“ says certified financial planner Pankaj Mathpal, founder, Optima Money Managers. Go for the staggered payout only if you fear that greedy relatives and unscrupulous financial advisers will cheat your nominee of the insurance money. Otherwise, stick to a regular term plan that offers a lump sum payment on death. This is aimed at people who think that buying a pure protection policy is a waste of money. 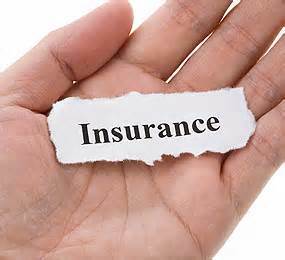 Insurance companies have devised plans that will return to the policyholder the entire premium paid on maturity. For gullible buyers, this is a great way to insure themselves for free. For intelligent buyers, this is a lemon that should be avoided. The premium of such plans is high compared to a regular term plan. Basically, the policyholder is paying a high premium to get back a pittance. If he invests the difference, he can accumulate a far bigger corpus. When someone applies for a big-ticket home loan, lenders try to sell him a term plan to cover the loan. In case something untoward happens to the borrower before the loan is repaid, the insurance company will pay the outstanding loan to the lender. Loan cover plans are single-premium policies, but the borrower does not have to shell out the amount at one go. The premium is added to the loan and repaid in EMIs. The cover is linked to the outstanding home loan and progressively comes down over time. This means if a loan is pre-paid, the cover will not be of any use. Statistics show that most borrowers tend to prepay their home loans as incomes go up. A 20-year home loan is usually foreclosed in 12-14 years. In case the loan is foreclosed, the insurance company is supposed to refund the premium as per a pre-defined formula. However, some insurers fob off policyholders citing vague rules. Another problem is when you switch lenders or refinance a loan. You might be asked to terminate the existing policy and buy a fresh one through the new lender. This is hogwash. You can continue with your existing home loan cover even if you change your lender. All it requires is an endorsement in the policy which will remove the previous lender and name the new lender as beneficiary. Many buy the cover out of fear that their loan application might be rejected. “The sales staff push insurance products once it becomes difficult for the customer to move to another lender or when they are in a hurry to get the loan,“ says Mahavir Chopra, head, health, accident, and life insurance, Coverfox Insurance Brokers. Covering a big-ticket loan is advisable because your dependents will not have to repay the loan if you are no more. A lender may take over the asset then. However, a regular term plan that is not linked to the outstanding loan is a better way to cover this liability. It can continue even after the loan is repaid.